Dell will market two new upcoming 4K computer monitors, a format arising in coming quarters driven by the Intel agreement with manufacturers to lower the price to $399. 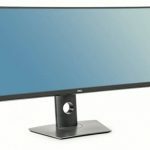 The new Dell 4K monitors are P2415Q and P2715Q, both with IPS panels with native resolution of 3840 x 2160 pixels with respective sizes of 23.8 and 27 inches diagonally. The smallest has a response time of 8 ms and a brightness level of 300 cd / m2, while the larger provides 350 cd / m2 brightness. The two share a static contrast ratio of 1,000: 1, viewing angles of 178 degrees and 99% support of sRGB color gamut. 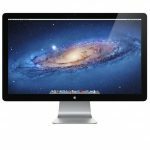 They feature an ergonomic basis for regulating height, swivel and tilt feature HDMI video inputs (via MHL), DisplayPort, Mini DisplayPort, and a USB 3.0 hub ports. Price has not been provided although we expect the P24 price levels of $ 399 mentioned by Intel. Latest reports reveal that in 2013, 90 percent of computer monitors had a resolution to 1080p or lower, Intel believes that the screen resolution can be one of the reasons why users have stopped updating their PCs. Hence it intends to drive new Ultra High Definition panels in the personal computer industry with a partnership that includes Samsung, one of the leading manufacturers of screens. 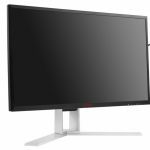 The stated goal is to offer 4K monitors from $399 on base models with screen sizes of 23 inches, while the AIOs computers ‘all in one’ 4K screen would cost $999. 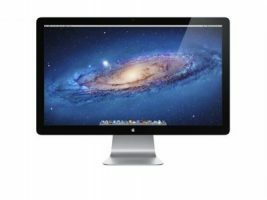 Next The new iMac Retina disappoints in the benchmark.